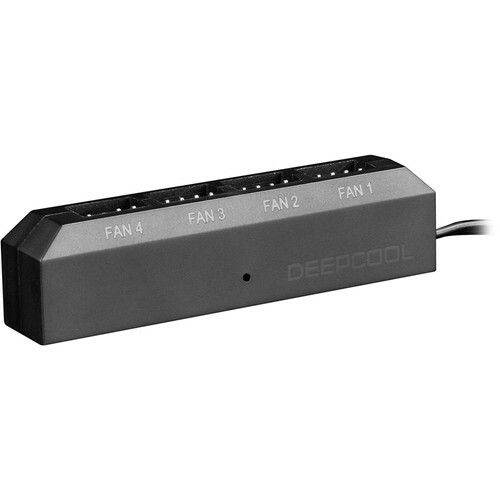 Boost your PC's cooling capacity with the FH-04 4-Port Fan Hub from Deepcool. Compatible with 3- and 4-pin fan connectors, the 4-Port Fan Hub supports PWM functionality, and the speed of the fan connected to the first fan port can be monitored by your system. You can install the hub using the double-sided adhesive tape attached to the back of the device. The hub connects to your system using a captive 21.7" cable.